The popularity of influencer marketing shows no signs of slowing down. Interest in the term influencer marketing increased 90x from 2013 to 2016 and it doubled in first nine months of 2017. Reasons for ever-growing popularity of influencer campaigns are numerous ranging from their versatility (this type of marketing works for every business) to noninvasive nature. Since an increasing number of businesses is including influencer campaigns into their marketing strategy (or you already have), it’s important to learn more about trends that will dominate next year. Here are seven influencer marketing trends that you should embrace in 2018. Influencers are highly sought-after on social media platforms. We are witnessing the rise of accounts, both male, and female, with thousands of followers. 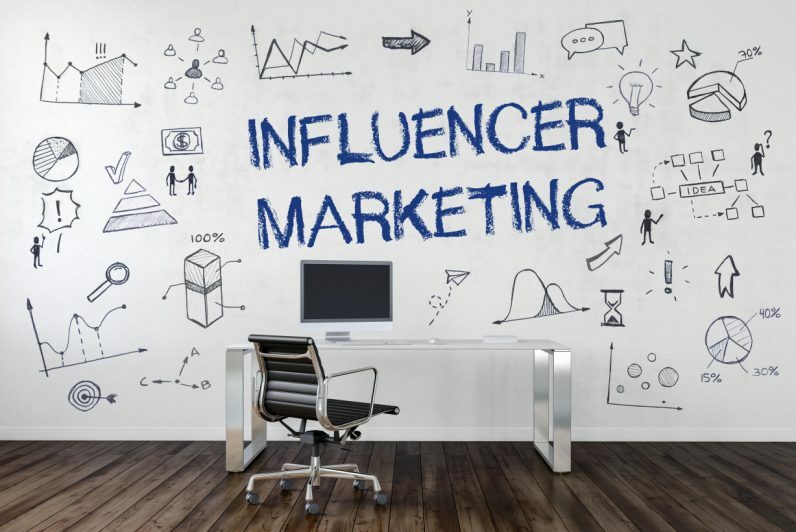 At the same time, more and more businesses decide to include influencer marketing into their strategy and they’re looking for influencers who will promote their products or services. Higher demand for social media personalities also increased the value of their services. Most influencers deal with same things, brands approach them on a daily basis and they want to establish collaboration based on mutual benefit. While in 2017 and before, sending free samples or some other form of compensation could work, in the upcoming year you’ll need to put more effort into the process. Increased value due to higher demand doesn’t necessarily revolve around money, influencers will start looking for meaningful partnerships. They gained thousands of followers and their future engagements with some companies will depend on whether they feel it’s a right fit for them and their followers base. What can you learn from this? When contacting an influencer, go beyond finances and show how they can benefit from your partnership or how it can improve their career. The primary reason why some companies are reluctant to create an influencer marketing strategy is the assumption they cannot track results properly. In 2018, with increased demands and values of influencer campaigns (discussed above) measuring key performance indicators (KPI) and the return on investment (ROI) will become essential. You can track both ROI and KPI through an understanding of relevant metrics tools for each campaign and detailed analysis of results. We can also expect the development of new software and influencer marketing platforms that make this process significantly easier with growing need for precise measurements. An influencer marketing case study that examined the impact of the strategy at Coachella Music and Arts festival showed that brands were able to reach tens of millions of people and increase engagement by monitoring total audience, likes, hashtags, and comments. Basically, you should focus on an in-depth analysis of the campaigns’ performance. Influencer campaigns have the tremendous potential to improve search rank of just about any business, but it’s important to explore all options and types of influencers. We can classify influencers into three groups: mega-influencers (usually celebrities), macro-influencers, and micro-influencers. The year 2017 was all about micro-influencers, but 2018 will focus on integration. The upcoming year will see brands combining different types of influencers to achieve their marketing goals. Each of these groups reaches the specific target audience, which helps your company reach more people than ever. Besides combining mega-, macro-, and micro-influencers, companies will also merge other word-of-mouth strategies like referral programs, advocacy, and loyalty. In 2018, your campaign isn’t just a mere promotion any longer but aims to build an experience and emotional connection between your company and target audience. People are tired of identical posts they see online – heavily processed images in Photoshop portraying a seemingly perfect-looking man or woman and sending the illusion of a perfect life. They want something real and videos make it happen. Video content eliminates generic communication, requires less manipulation and it’s more engaging. Probably the biggest influencer marketing trend in 2018 is the use of video content on both account’s timeline and stories sections. Evidence shows that video can be twice as effective in driving sales as text-based content so strive to post this type of content regularly. At the very beginning of influencer marketing era, companies contacted influencers and which led to social media posts where people were recommending some products or services. Nobody had to do anything else. However, with the increasing use of this marketing strategy, Federal Trade Commission (FTC) introduced some rules. In 2017, FTC filed a case against individual influencers who failed to disclose ownership ties and paid sponsorship promotions. Although influencers and brands have become more careful, in 2018 we can expect more lawsuits against both companies and social media personalities they work with. The reason is simple, up to 93 percent of paid endorsements remain undisclosed by both brands and influencers. Not only we can expect FTC to file more lawsuits, but they’ll also introduce stricter rules. That’s why you and your influencer should be careful and comply with the regulations. For the price of a few dollars, every social media user can have thousands of followers. This creates a new generation of “fake” influencers i.e. people who amassed large fan base, but they didn’t do it with their own work, instead, they bought them. Since everyone wants to be a social media star, we can expect the number of these users to rise. This kind of leaves you in a hot water if you start working with a fake influencer because your marketing efforts will fail and take down the entire strategy with them. An easy way to go about this problem is to implement an airtight process for vetting and choosing influencers. Don’t focus on the number of their followers only, but monitor their engagement too. Bought followers rarely interact or engage, meaning that person will have low engagement rate despite large fan base. Instagram is one of the most popular networks for influencer marketing efforts and in 2018, it will rise even more. In September 2017, Instagram announced they reached a milestone of 800 million users, up from 100 million in April. Next year, the platform is set to exceed one billion users! At this point, influencer marketing on this social media app is worth about $1 billion, but it could reach $2 billion by 2019. Instagram offers a number of opportunities for both brands and influencers, helps you reach more people, and presents visual content in forms of photos and videos, which users appreciate. While it will pay off to be a part of this large industry, focus on establishing meaningful relationships with influencers to stand out in the crowd. Influencer marketing keeps growing each year, but trends change. In 2018, a combination of different types of influencers will dominate as well as the use of video content. Ensure that both you and the influencer are following FTC guidelines to avoid potential issues in the long-run. Implement different tools to monitor different aspects of posts and campaigns in order to adjust your strategy.